Since the beginning of the 21st century, the Matsiguenka community of Palotoa-Teparo has been developing an ecotourism project, seeking socioeconomic integration with the larger society in their own terms. Recognizing the increasing flow of visitors that come to the area to see the Pusharo petroglyphs, enigmatic figures carved on a large rock in a nearby place, people from the community of Palotoa-Teparo decided to provide lodging and guidance services for visitors. However, the implications of this initiative for their cultural lifestyle are uncertain, presenting risks and opportunities. 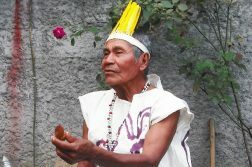 This publication seeks to highlight key areas of their ancestral cultural heritage, particularly as they relate to their perceptions of the forest and the use of the natural resources, articulating their traditional values with their new socioeconomic activities as providers of ecotourism services. 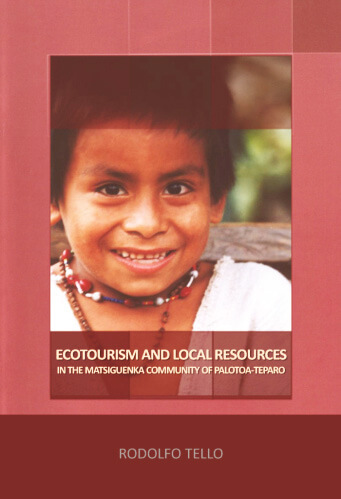 “Ecotourism and Local Resources in the Mastiguenka Community of Palotoa-Teparo,” written by Rodolfo Tello, was originally published as a color booklet in 2004 by Pro-Manu in Cusco, Peru (28 pages, English and Spanish).